As we start a new year, new rail fare increases have come into effect which has seen ticket prices rise by an average of 2.2 per cent. Regulated fares, including season tickets, have risen by up to 2.5 per cent but this is the lowest increase for five years. Gainsborough has two train stations, Gainsborough Central which is managed by Northern Rail and Lea Road Station which is managed by East Midlands Trains. East Midlands Trains have confirmed fares will rise by an average of 1.3 per cent, which is significantly below the current rate of inflation. 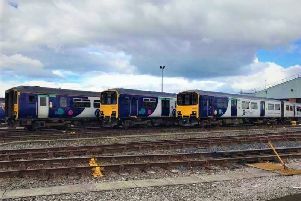 As well as paying for the running of the day-to-day rail network, fares are helping fund a massive programme of investment across the East Midlands Trains network.